Deeper Manila is proud to bring out another stunning tech house release by a veteran in the local industry! 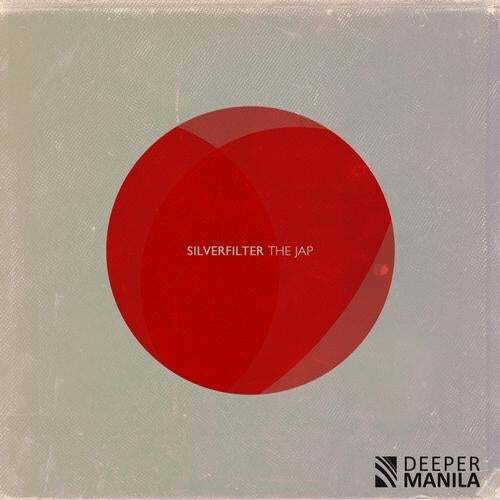 Cyril Sorongon, more known as Silverfilter, is one of Manila's finest and well-seasoned electronic music artists, and simply having him on-board once again proves that the label's vision to push further the scene is still strong. ?The Jap? brings to the surface sounds from underground from Manila to Pordenon as remixes from MicFreak, X-Cite & Gift, Justin de Guzman, and the Italian deep-tech duo, Aerodynamic Xpress see light. As massive as it may sound, the original mix of ?The Jap? is a product of heavy bass, echoing synths, and pumped-up kicks. Filipino-export, MicFreak and the Italian tandem, Aerodynamic Xpress turn the tables with their respective smooth-flowing deep reinterpretations of ?The Jap?. In contrast to the former remixes, X-Cite & Gift assemble a rough-rolling craft as their remix. Last but definitely not the least is the spectacular rendition by Deeper Manila head-honcho, Justin de Guzman, dubbed as the ?Finish Me? remix-- expect something different from this one! ?The Jap? together with its remixes is out now on Deeper Manila!